We're incredibly lucky to have some pretty extraordinary women in our lives at Ruby Olive. For this reason, our models do not come from agencies, they're our friends, customers and family. share their stories through our photoshoots. All possible with the eye of our amazing photographer Charli, who sees our vision and brings it to life! We serendipitously met the gorgeous Emma and asked her to come and jump in front of our camera for our most recent photoshoot. She was an absolute treat, and was just as gorgeous on the inside as she is on the outside. Emma is an accountant by day, but she managed to squeeze some time in her schedule to come and shoot some happy snaps for us. 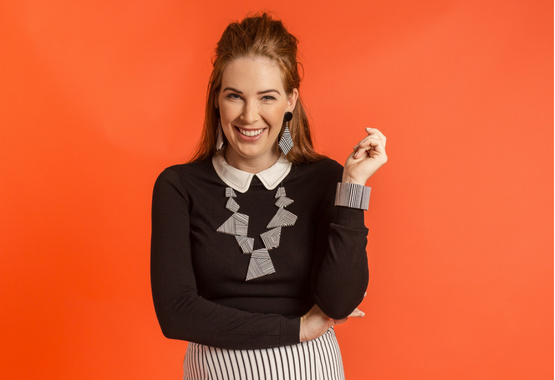 She has a passion for modelling on the side of her accounting career, talk about busy! Emma has a grace and elegance about her that can lift the room and shines through in her photos. We couldn't have picked a better face for our new collection of jewels. Gorgeous Madie came into our lives in 2017, and as soon as she walked through the door, her smile and bubbly personality lit up the room. We knew from that moment, she was our kinda gal. Madie was just about to head off to Haiti to work with EarthSpark International as their Communications Associate with the common mission to eradicate energy poverty. Time was cut short as Madie was leaving within the month, but we knew we had to have her to model for us before she left! Madie was the fabulous face of our Carousel Collection. We then got the exciting news that Madie was back in town earlier this year, so we invited her and that gorgeous smile in again with a huge bunch of hot pink helium balloons... best. shoot. ever! Read more about Madie here. If you've followed the RO journey for a while, you've no doubt seen gorgeous Molly's face before! 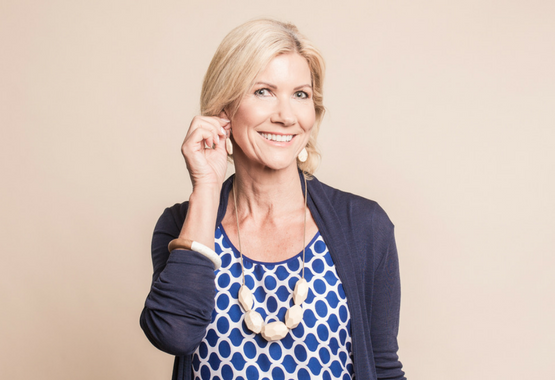 Molly is a busy mum to 3 adorable boys, and Marketing Manager for the Brisbane Bullets by day. Despite always being super busy, Molly never fails to jump in front of the camera for us, she's been our go-to gal for the last few years! Snapping whole new collections in one hit is a breeze when we've got Molly by our side. There's never a dull moment, (we always have way too much fun), and Molly radiates sunshine when she's around... She has a gorgeous personality and is such a kind and gentle soul. This definitely shines through in her photos, and we love that we have someone so special in our community to be the face of so many of our jewels! The lovely Kate is a long term customer and lover of Ruby Olive. Kate is a member of our private Facebook Group (click HERE to join), and when we put the call out for our next customer supermodel to join us for a photoshoot... she put her hand up for the task in lightning speed. We soon learned that Kate is an accountant currently tutoring at The University of Queensland Business School, while balancing being a busy mumma. We also soon discovered that Kate is one of the sweetest and kindest people, who's not afraid to play with some colour! Kate was an absolute delight and had too much fun having sneak peeks at our new range of jewels... read more about Kate here. We first met Elizabeth back in 2016, when after aeons of likes, comments and messages on Instagram we finally caught up for a coffee. We were expecting her to be loud, crazy and excitable, but contrary to her bold, colourful and outrageous outfits, we met with gentle, softly spoken and eloquent Elizabeth. If you haven't seen her Instagram, @timeless_styling is a celebration of colour, prints, designers and accessories. 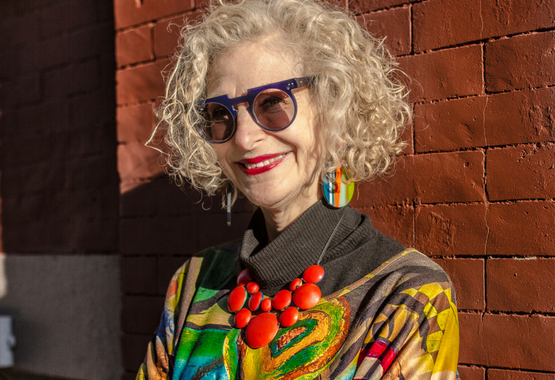 Elizabeth's eye for accessory layering, matching hues, creating beautiful shapes and mixing prints is rivalled only by the seminal Iris Apfel. We continue to have the gorgeous Elizabeth come in and play with our new collections while taking happy snaps of her... The styling combinations she comes up with are unreal! Read more about Elizabeth here. Gone are the days of high waisted slacks and circle glasses kinds of librarians... 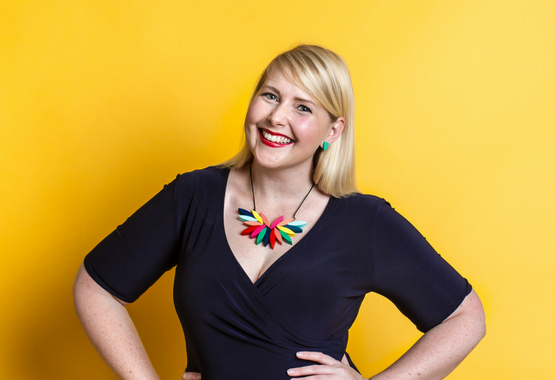 The new generation of passionate, fun and super interesting librarians is being led by the awesome Megan Daley. 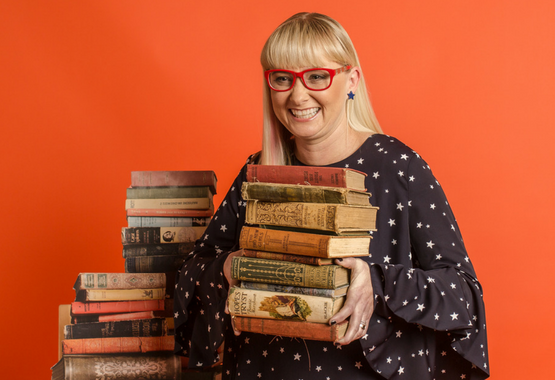 Megan's mother is a "great teacher librarian" so she grew up surrounded by books and libraries, no wonder she followed in her footsteps into the industry. By day she's a teacher-librarian at St. Aidans Anglican Girls School in Brisbane. We asked Megan to come and jump in front of our camera for our Stardust photoshoot, and she was so lovely as to oblige! Lots of smiles were had, and we learned a bit more about this awesome woman. The photos speak for themselves, Megan was a natural and looked absolutely gorgeous. Read more about Megan here. This fabulous woman is the face behind the Instagram account @artfulcitystyle. Dayle has amassed a huge following for her unique, quirky and incredible style. She combines art and style in Manhattan, and oh my are her posts spectacular. Naturally, we were drawn to each other (us for Dayle's style, and Dayle to us for our jewels!) The combinations Dayle puts together so effortlessly often leave us in awe. However, it was a long distance love through Instagram and getting Dayle to model for us was just a daydream. When our photographer Charli was headed to New York and asked if we wanted to take some snaps of Dayle, we jumped at the opportunity! She is an absolute ray of sunshine, with such a genuine smile and big heart. Read more about Dayle here, and check out the happy snaps from the Big Apple. 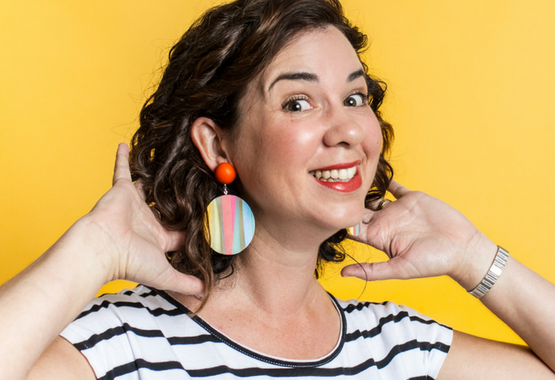 By day Andrea works in corporate Human Resources focusing on culture, diversity and inclusion, yet after hours she writes for her blog Sublime Finds where she talks all things shopping, shoes and dogs. We first met the lovely Andrea in 2017, and soon figured out that Skye and Andrea live only streets away and got along like a house on fire! What's incredibly clear when you meet Andrea is that she's MOST passionate about empowering women to live their best lives and to be confident in their own skin. Her blog is a hub of positivity and inspiration, helping to raise women up. Andrea has the most gorgeous, genuine and infectious smile. We HAD to have Andrea model for us in our first customer photoshoot, and the photos still make us happy to this day. Read more about Andrea here. 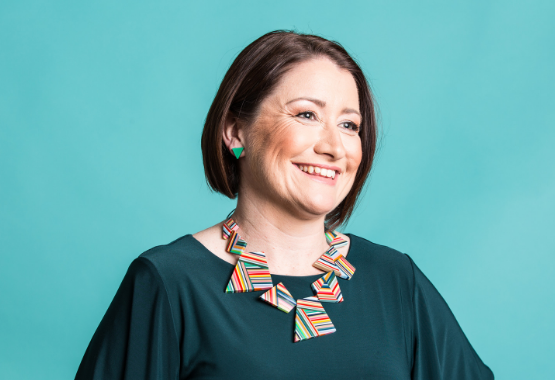 Skye first met Moana many years ago at a business event and serendipitously we started working with her amazing daughter, and mum of three young boys, Molly (pictured above). We invited Moana along to one of our latest photoshoots to take some snaps with her daughter for Mother’s Day, and she was so fabulous that we just kept snapping away. Before we knew it she had modelled all of our French Twist necklaces...and how gorgeous does she look! Moana oozes positivity and helps empower women to be the best versions of themselves, through her business BStyled For Life. 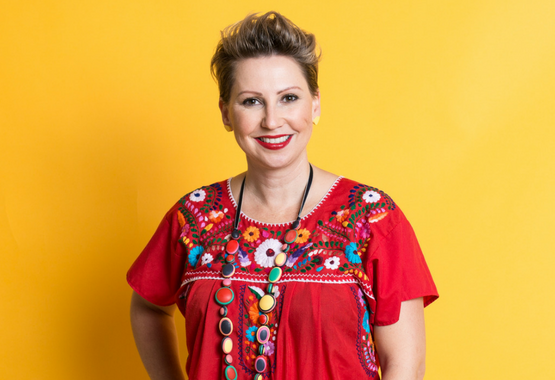 Moana is a Life Coach, Personal Stylist and Beauty Therapist and works with people on a holistic level. Read more about Moana and her fabulous business here. The fabulous Sam was introduced to us through our resident model Molly (above). While looking for the perfect person to be the face of our new Stardust Collection, Molly suggested gorgeous Sam. As soon as we saw photos of her, we knew we had found our Stardust Girl! Sam is a busy mumma of 3 kiddies, (2 of them are twins!) and small business owner. Between balancing this, she managed to squeeze in some time to come and model our Stardust and Contrast Collections. The shoot was way too much fun, with loads of laughs, good music and dance breaks galore. These collections were a step away from our previous jewels, and we knew we needed someone who could pull off the edgy look and have fun with us in the process. Sam absolutely nailed it! Maria is a gorgeous friend of ours, and we often wonder if there's anything she can't do! 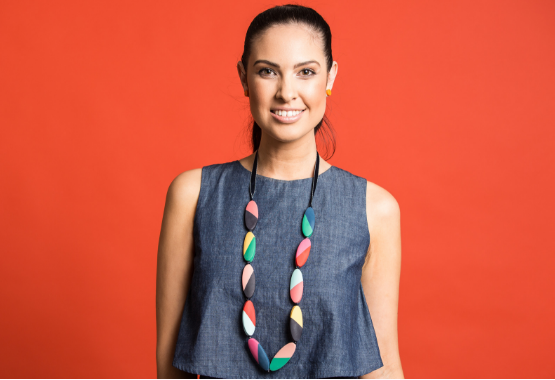 Maria is the owner and founder of Ivy and Bird, which was born out of a desire to create that perfect piece of clothing or jewellery, all hand sourced or created by Maria herself. 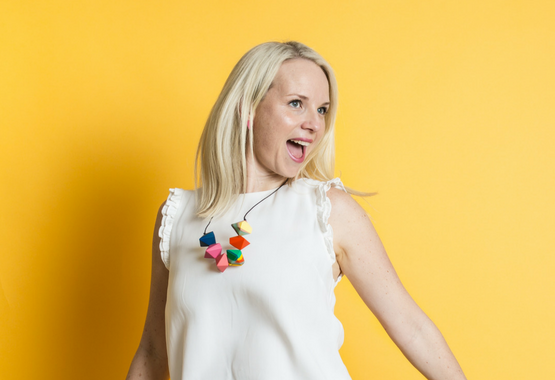 Apart from running her business, Maria is a busy Mumma and all round wonder woman. Maria practices all things beauty from makeup to nails, and often does our hair and makeup for Ruby Olive photo shoots. She also cooks the best Greek food you will find around town. We decided to get Maria out from behind the scenes and in front of the camera for our first customer photoshoot. She absolutely nailed it! Maria looked stunning in some of our newer pieces (at the time). See the pics, and read more about Maria here. The lovely Deanna is a busy mum of 3, and gorgeous customer of ours. We first met Deanna at our office in Kelvin Grove, Brisbane. Deanna came in to pick up some jewels and we instantly fell in love with her exuberant personality and friendly disposition. We've found that it's not uncommon for us to become friends with our customers, especially when you're all so fabulous! When we were organising our first ever customer photoshoot, Deanna's named popped into our minds. We invited Deanna in to come and have a play in front of our camera, and she absolutely rocked it. Deanna is extremely down to earth and had a tonne of fun playing with the jewels. 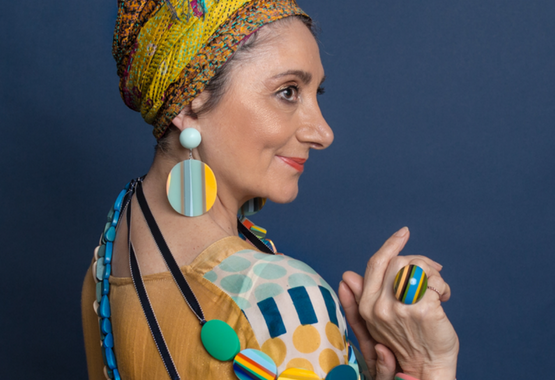 How awesome does she look in our Carousel Artisan Striped Disc Earrings?! Kirsten is one of the sweetest people you will ever meet! Kirsten is a busy mum of 3 boys, and works in marketing by day. Kirsten is a loyal Ruby Olive supporter, and has been along for the journey since day one. This lovely lady also happens to be one of our Chief Dreamer Skye's besties, they've known each other since they were 16! Now that's what we call an amazing friendship. We invited Kirsten along to our first customer photoshoot, as we knew she'd be a delight with her bubbly personality and gorgeous smile. We had a bundle of fun with Kirsten on shoot, and she certainly nailed the "expression" shots. 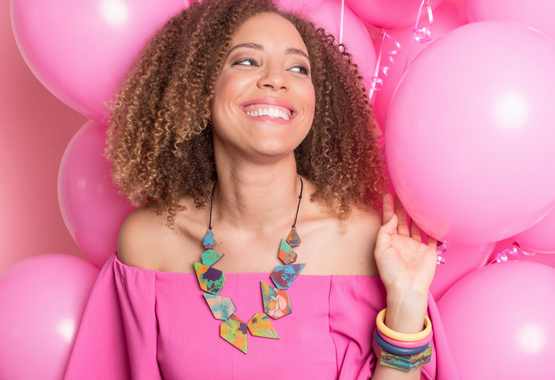 We think Kirsten looks absolutely fabulous in our Carousel Candy Necklace.